Corneille  85 years of age! To celebrate Corneille we have made a selection from the graphic editions that Galleri GKM and Corneille have worked together on during 30 years of close cooperation. We were 14 and 12 years old when Corneille first exhibited in our parents, Solveigs and Siwerts, gallery on Bredgränd in Jönköping. It was 1978, the year that marked the beginning of an intensive yet always amicable working relationship that would lead to numerous exhibitions, graphic editions and art books. It was our first encounter with this nice man with his violet-coloured scarf and those peering eyes whose penetrating gaze testified to the greatness of the human being behind them. 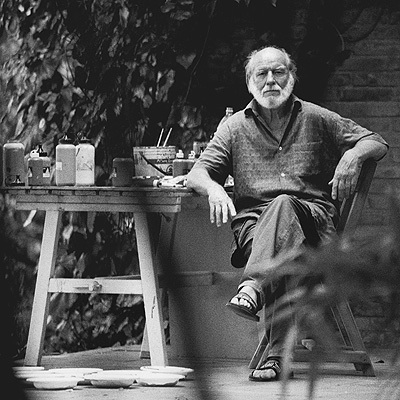 He often visited our home, and as our knowledge in foreign languages improved, we were able to share in his memories and his meetings with some of the centurys great masters  Picasso, Chagall and Miró to mention but three. One anecdote that made a great impression on us was from his years as a poor and hungry young artist in Amsterdam in the late 1940s, when the COBRA Group was beginning to take shape. Karel Appel, with whom he shared a studio, had succeeded in selling a painting and had raced off to buy a huge piece of steak which he subsequently cooked and ate up in front of Corneille  without offering him the tiniest morsel! He will never forget that story. And nor will we. Corneilles brilliantly coloured and highly imaginative paintings were part of our upbringing and education as we were introduced to the world of art. With this exhibition we want to honour one of the foremost artists in the COBRA Group, a master of his craft who knows how to celebrate the female form and all that is joyful and beautiful in life.